Heat all the ingredients except the popcorn to simmering in Dutch oven over medium-high heat, stirring constantly. Stir in popcorn. 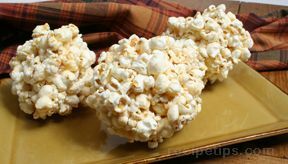 Cook, stirring constantly, until popcorn is well coated, about 3 minutes; cool slightly. Dip hands in cold water, shape mixture into balls. 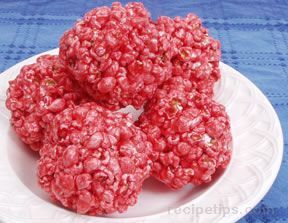 Place balls on wax paper; cool completely. 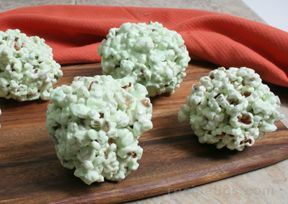 Place popcorn balls in plastic bags. Makes 6-8 balls.